Senator Bukola Saraki express certainty that Peoples Democratic Party (PDP) will win the 2019 presidential election – Royal Times of Nigeria. 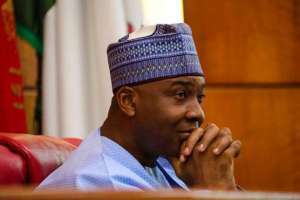 Senate President Bukola Saraki has expressed certainty that the opposition Peoples Democratic Party (PDP) will win the 2019 presidential election. Senator Saraki who stated this in Ilorin, the Kwara State capital at a meeting with PDP members also voiced confidence that the party will emerge victorious at ward, local, state and federal levels. At the meeting with the PDP members who came from the wards and 16 local government areas of the state, Mr Saraki who said the victories of the PDP at both federal and state levels will be beneficial to all the members in the state also said the future of PDP is now bigger and brighter than what it used to be.